The Upper School curriculum aims to meet the adolescent’s new capacities for critical thinking and independent judgment, as well as their interest in life’s big questions: What is justice? What do we mean by truth? What will give my life meaning? How can I make a difference in the world? Pupils study a wide range of exam and non-exam subjects. All students study all areas of the curriculum to maintain breadth and balance of their education. The level and approach is personalised and differentiated in order to meet the needs and engage the interest of all pupils. All lessons are taught by specialist teachers and the Class Teacher is replaced by a Class guardian, who has a pastoral role, and may or may not teach the class. 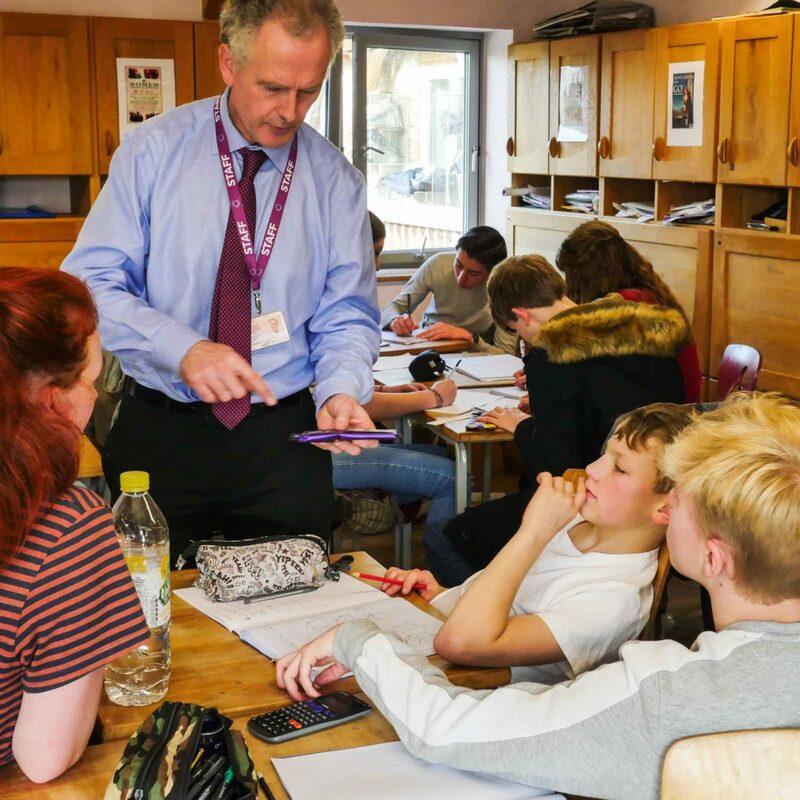 The Main Lesson system continues and includes all the pupils in the year group and cover a range of topics delivered in an integrated multidisciplinary approach. The sciences are taught experientially and follow a “phenomenological approach,” which means that the teacher sets up an experiment and calls upon the pupils to observe carefully, ponder, and discuss what is happening. Approaching the subject matter in this manner develops scientific thinking as an organic skill as well as competency within the student. Starting in Class 8 and continuing through the Upper school, each year the curriculum brings a new topic in the fields of physics, chemistry, and biology. 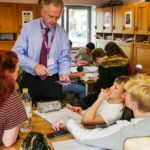 However, because the number of exam offered has expanded, the range of Main Lessons subjects has been reduced and have been dovetailed to accommodate the exam subjects. computing: pupils are introduced to the working principles of contemporary technological devices through first understanding of their historic roots and their social, economic and cultural contexts. Computer studies are introduced after pupils have been given the opportunity to grasp binary systems. maths: two and three dimensional geometry. Courses in the following GCSEs (and vocational equivalents) are offered. The GCSE (and vocational equivalent) courses continue from Class 9.